Pretty paper plates, part of the Vintage Rose range of tableware and party décor. Featuring a design inspired by vintage crockery, these paper plates are the perfect accompaniment to weddings, picnics and parties. 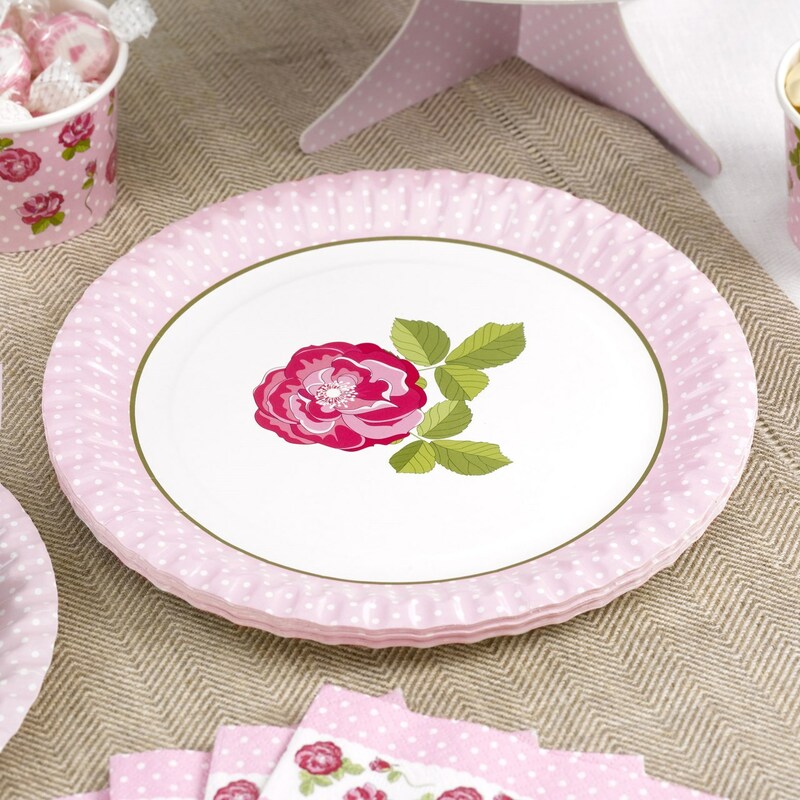 Using a delicate palette of pastel pink and light green, the plates feature a pink border surrounding a rose design. Each pack contains 8 Paper Plates.